Google Apps and Drive are an integral part of my teaching. At the start of the school year, I told my teaching team that I wanted to use it as a record keeping and planning tool for our classes and asked their opinion about it. Both members quickly agreed and we spent a few hours over the following weeks setting our files up. It took a while but it was worth the effort and time. One of my team members is brilliant with creating layouts and so he quickly formatted all our documents, set up our spreadsheets with complicated formulas – making our planning and record keeping files more accessible to all of us. We wouldn’t need to spend hours calculating results because it was all set up the way we needed it to be. My teaching team has found that using shared online documents is a blessing. We can access our documents anywhere at anytime. At parent teacher interviews we were all able to access the same files simultaneously whilst talking to different sets of parents. It eradicates the need for one team member to enter the results of their small group, save the file and email it to the others. It lessens the chances of us ending up with the wrong file where previously entered marks are now missing. We can put multiple subject results within the same spreadsheet and can calculate students’ overall results for the term and semester. It makes life so much easier for a teaching team of 3 to coordinate our shared files. I finally did it. I gave in and created my own Twitter account. That is after years of saying that I wouldn’t do so and that I didn’t need one. So why did I join it? I gave in so that I can expand my PLN. When I became a Technology Leader at my school, I realised that I did know much about implementing Technology within my domain area. Yes, I was using it in my class but not in a very effective way. I was just “substituting” Word for pen and paper. I knew that it was not the ideal way of using it in the classroom. So I set about trying to educate myself about how to use technology effectively. I’ve attended numerous PDs, been to conferences, even visited another school to see how they used technology in the classroom. In the last couple of weeks I realised that I needed to increase my PLN because I don’t just want to use technology for the sake of using it. I want to have classrooms where technology redefines the learning. So I am going to be using Twitter to improve my teaching skills and practices. It’s another place where I can connect to teachers not just in Australia but also around the world as it a global tool that allows us to interact with each other. Even Oxfam came out with “6 Reasons Why Twitter is a Teacher’s BFF“. Twitter is a new venture for me and one that I’m looking forward to using in my teaching career. @MsLRodrigues Love your blog! Interesting topics, very useful advice, and really well-written. Edmodo post especially. Thanks for sharing! What Web 2.0 tools are effective in MY classroom? Am I just throwing technology tools at my students and expecting them to use them? Are my students learning how to use these tools effectively or do they just have surface knowledge of them? What do I want to see happening in my classroom as a result of the use of technology? Are my reluctant learners taking advantage of the fact that they can use the laptops to play games and watch videos that are not relevant to the curriculum? Are my reluctant learners and EAL students being overwhelmed by the curriculum and use of technology that they don’t know what they are doing? Am I teaching the correct skills in my classroom? Are they learning 21st century skills that they need in their lives? Is technology just being used in my classroom because the school wants it and being a technology leader I’m expected to do so? Is technology just being used as a substitution model in my classroom or is it redefining the learning in the classroom? As term 2 draws to a close, these questions swirl around in my mind. I will need to do some thinking over the 2 week holiday period and decide what my focus will be in terms 3 and 4 in regards to technology. Last year as part of my role as a Technology Leader, I scrambled around trying to find a Web 2.0 Tool that I could demonstrate at a school TechTalk (our volunteer Technology PDs). It was the first time I would be running a PD and I wanted to find a good tool for the classroom that other teachers could use. I stumbled upon Blendspace (originally called EdCanvas). I quickly used it in my classroom, testing it out on my unsuspecting students. It got them engaged in their learning as they could work at their own pace and also collaboratively to complete all the activities.This year I decided to use Blendspace for the entire unit on Medieval History as they could work through a variety of tasks that included videos, quizzes as well educational games. So what is Blendspace? It is an excellent tool for Blended Learning in the classroom. At least it is an excellent tool for students who are self-motivated and eager to learn. For these learners, Blendspace is good because they can move ahead at their own pace without being held back by the reluctant learners. For my EAL learners, it was a challenge to complete the activities in the unit but they negotiated their learning with me. They were allowed to tackle 10 activities out of 16 as it would take them a longer time to complete. Yet I found that this unit engaged them more because they could focus on what interested them and they were able to ask for focused help to complete the tasks. I found that they were more successful in this unit on Blendspace because they worked at their own pace and ability without feeling as if they were failing to keep up. One of my EAL students told me that he liked this unit because he didn’t feel that he was “lagging behind”. There were problems with this unit though. It allowed the reluctant learners to get away with minimal work. My teaching team tried to ensure that we kept a constant check on these learners but they knew how to trick us into believing that they were actually doing the work. How can I monitor these reluctant learners? What can I do to support them in their learning without resorting to banning technology for them (which was my first reaction)? How do I alter my use of Blendspace so that I can cater for different learning styles especially my reluctant learners? I was introduced to Edmodo as a social media tool to use in the classroom. Everyone talked about how it engaged the students because it was like another Facebook but one that could be accessed at school. So like the other teachers, I decided to give it a try as I enjoy testing new technology resources for my classroom. I created 2 groups for my Year 7 classes and gave the codes to the students……..and that’s where it stopped as I couldn’t think of how to use it effectively. It was a good way for the students to communicate with each other and with me- in fact I kept getting emails at odd hours asking for help until I learnt to shut off notifications to my phone. I was still not utilising the full benefits of Edmodo until I started joining different communities. A whole new world opened up to me- I was part of a learning community and I wasn’t aware at first that I was “learning”. Teachers from all around the world sharing their ideas and teaching practices. Instead of being a classroom tool it has become part of my Personal Learning Network (PLN). It is where I am connected to other teachers and I can “learn anywhere”. It has introduced me to new ideas and different teaching practices. It allows me to peep into classrooms all over the world to see what is being done by international teachers. It allowed me to participate in a fellow teacher’s Action Research project on 21st Century Web 2.0 Tools that led to the creation of this blog. I can’t wait to continue this journey………. So who are 21st Century Learners? How are they different from those who grew up in the 20th century? What are 21st century skills that our students need to learn in a world that is continually evolving and where there is a rapid development in technology? So based on this article’s discussion a 21st century learner is one who is digitally literate, can work collaboratively and can engage in problem-solving. They have the content at their fingertips and easily accessible from their devices. They need to develop skills of analysing the information that they access and to make sense of it. They need to be be responsible for what they learn and how they learn. They need to be lifelong learners as they navigate through a technology-rich world. There are quite a few good clips that I have come across in the Edmodo group that I wanted to share with others on my blog.This video is interesting as it asks teachers to understand the qualities of a 21st century learner as well urging them to realise that technology can be put aside when it is not the most useful tool in a particular class. One of my aims today was to learn how to embed a Youtube video on my blog. It took me a while to figure it out because I didn’t realise that an embed code is very different from the link to share a youtube video. When you click on “Share” (under the Youtube clip) it gives you 3 options as seen below. You need to click on “Embed” which will give a block of HTML (in other words a computer language) which creates the video object once it is embedded in the page. It needs to be obtained from a site already hosting the video, because the “embed code” points back to that site. Once you have got the code, click “Add Media” to your post, then “Insert Embed Code”. Once that’s done you have successfully added a Youtube clip to your blog. I am having a lot of fun playing around with this site. Instead of writing reports, I have been figuring out how to use this blog. I feel like I’ve found the layout that I like as it is very visual. It’s been a good learning process on how to use the features of this blog. It will come in handy for showing my Year 7 students how they can have fun with it and use all the features. In their library lessons, they are learning how to use blogs as part of the Digital Literacy component of their lesson. They will be able to play around with it and use it to showcase their learning. I’ve always thought blogging can be quite time consuming. However since I have started learning again (without realising it), I feel that it will be a good way of demonstrating what I have learnt. I have the tendency to read a lot of information and the blog will give me the opportunity to showcase my own ideas. 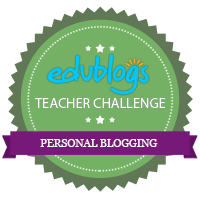 It will also allow me to write about how I use technology in my own classroom and how I am adapting it in a unique environment. Free Technology for Teachers- excellent website run by Richard Byrne about different tools that can be used in the classroom and are free. Google Gooru- since I love everything Google, I decided to subscribe to this feed so that I can learn new tricks for Google Apps. One of my challenges is now figuring out how to link my RSS feed to this blog so that the updates are linked here, rather than having to log in directly to Feedly. One of the tasks that I had to do as part of the Edmodo Training Group was to use Pixton. This is a great little site that allows you to create stories with comics. You have the flexibility to use it just for fun which is free or your school can buy a license to use it in the classroom. I used the free version to create my comic. I will definitely be testing it out a little more to see how flexible it is and whether I can recommend it to my students. Hi, my name is Lisa Rodrigues. Welcome to my Blog. I’ve decided to chronicle my journey as one of the Technology Leaders in my school. This blog is a reflection on my teaching practices and learning throughout the year. I’m starting this blog as part of an Edmodo training group : “21st Century Learning with Web 2.0 Tools”. I joined this group in order to improve my use of Web 2.0 tools in my classroom. This training group interested me as Ms. Carpenter (a teacher and Edmodo ambassador) was doing it as part of her Action Research Project. Since my school is now trialling Action Research, I felt that it would help me better understand how it works. I will be using the Action Research method to help staff in my domain area in their journey through the Blended Learning Project. I will explain more in future posts.